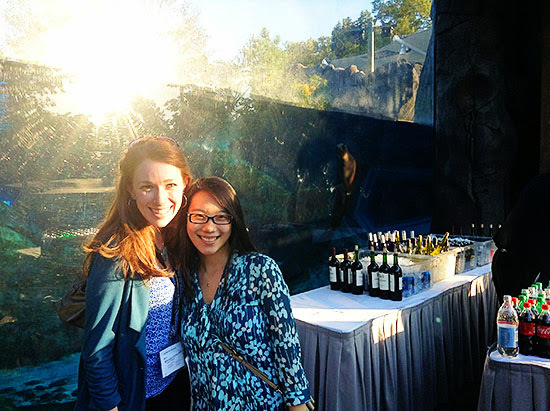 This conference banquet was actually held off-site at the zoo, and it featured a sunset cocktail hour with private sea lion viewing. It was so neat that I actually found the conference organizer specifically to give him a high-five. That’s me with my colleague/Cancún travel buddy and our new sea lion friend in the background. Behind all the WINE. Sometimes work is crazy and I let you know all about it. It’s only fair to tell you when it is absolutely amazing as well.